UPDATED Channel 5 has been sold to Viacom, the US company that operates channels such as MTV, Nickelodeon and Comedy Central. The UK's fifth terrestrial network has sold for £450 million, less than the £700 million price tag originally reported in the media, but still more than the £103.5 million current owner Richard Desmond paid for the broadcaster in 2010, when it was bought from German broadcaster RTL. Announcing the acquisition, Viacom said that Channel 5 is "one of British television's biggest brands" and that the free-to-air broadcaster would complement its existing pay TV channels. The Guardian reports that "Viacom has invested heavily in entertainment, reality and children's television, which fits into Channel 5's current schedules. It makes shows such as MTV's reality series Geordie Shore – which made a star of Charlotte Crosby, who went on to win Channel 5's Celebrity Big Brother." The sale of Channel 5 gives Viacom a big boost in the UK free-to-air TV market. 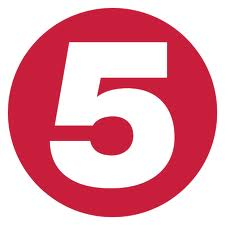 Channel 5 operates three offshoot channels: 5*, 5USA and Channel 5+24, in addition to +1 hour timeshift channels for Channel 5 and 5USA. On Freeview, Channel 5 has five valuable slots: one 'universal' or near full coverage slot for its main service (which is linked to its licence as the fifth national terrestrial broadcaster - recently extended into the next decade), plus four on the commercial multiplex SDN, which can reach around 90% of UK households. Freeview carriage will usually cost a broadcaster several million pounds a year for a single slot, although much less than the £10 million+ paid for slots in the mid-00s. Viacom has until now only had just one Freeview slot of its own, which carries VIVA (UK), a channel showcasing a selection of content from MTV, VH-1, Nickelodeon and Comedy Central. Viacom's main UK channels are also carried via pay TV streamed service VuTV on channel 238. Last year, Broadcast published a report suggesting that Viacom was interested in adding children's channel Nickelodeon onto Freeview, with VIVA successfully carrying two hours of Nickelodeon programming on weekday afternoons. This failed to materialise. However, with Channel 5, Viacom could potentially move one of its children's brands to free-to-view television, a create a new free-to-air brand. Channel 5's latest service, Channel 5+24 carries teleshopping all day on the Freeview version of the channel (which differs slightly to the satellite version during daytime hours), this could easily be cleared and the stream split to carry a dedicated children's channel until Channel 5+24 took over the bandwidth at 7pm. One 90% coverage slot is split between CITV, ITV3+1, The Store and ITV4+1. 3 of the 98.5% coverage slots are part of ITV’s share in multiplex operator D3&4 together with STV and UTV, the other is an HD slot for the provision of ITV, STV and UTV in HD. In Wales, that’s 4x98.5% slots and 4x90% coverage slots. 1 HD slot for the provision of Channel 4 HD. Not including 4Music, a joint venture with The Box. Adding VIVA to the five C5 slots. The Daily Telegraph reports that "The American conglomerate also intends to examine the possibility it could convert one or more of Channel 5’s secondary channels into a subscription business." This would be difficult to do on terrestrial TV with its Freeview slots, as since the demise of Top Up TV's subscription service last year, there isn't an operator in place to handle a 'pay TV lite service'. Ironically, the bandwidth for Channel 5's offshoot channels on Freeview came from capacity taken off Top Up TV from 2006 onwards. The only pay TV smartcards in use for terrestrial TV are for the small number of legacy BT TV customers receiving BT Sport 1 and 2 over the air, and this service is being rapidly phased out as some legacy boxes are being switched off and other users switched to pay TV delivery via BT Infinity broadband as it becomes available in more areas. BT and TalkTalk's YouView platforms - a hybrid of Freeview terrestrial TV and pay TV - deliver pay TV content via broadband rather than over the terrestrial airwaves, additionally YouView boxes are not designed to receive pay TV channels over the air. Whilst Viacom has not commented on whether Channel 5 HD will join free-to-view platforms - a common gripe from many HD viewers with Freeview or Freesat - a review by the Department for Culture, Media and Sport (DCMS) is looking at giving HD versions of the main terrestrial networks the same "PSB" or public service broadcasting status as their standard definition counterparts, which is likely to force the new owners to make Channel 5 available in high definition for free at some point in the future, once the review is complete and necessary amendments to legislation have been made. I wonder if this helps or hinders the hope of many - Channel 5HD free-to-air? Currently locked in contract with Sky. Milkshake likely to be rebranded Noggin as the Viva Preschool strand of past. Nick Jr brand is a outside prospect Most of Milkshake is Nick Jr content, CITV also has several Nickelodeon shows! Another possibility is the following of the CITV on ITV model - using Noggin/Nick Jr name! Chances of the Nickelodeon UK and Ireland Channel coming is slim due to Premium status and co Sky ownership. Comedy Central and MTV also is Viacom-BSkyB.